On DVD for the first time, Best Lazy Day Ever and Summer Belongs To You! Take fun to all-time heights! In Summer Belongs To You! 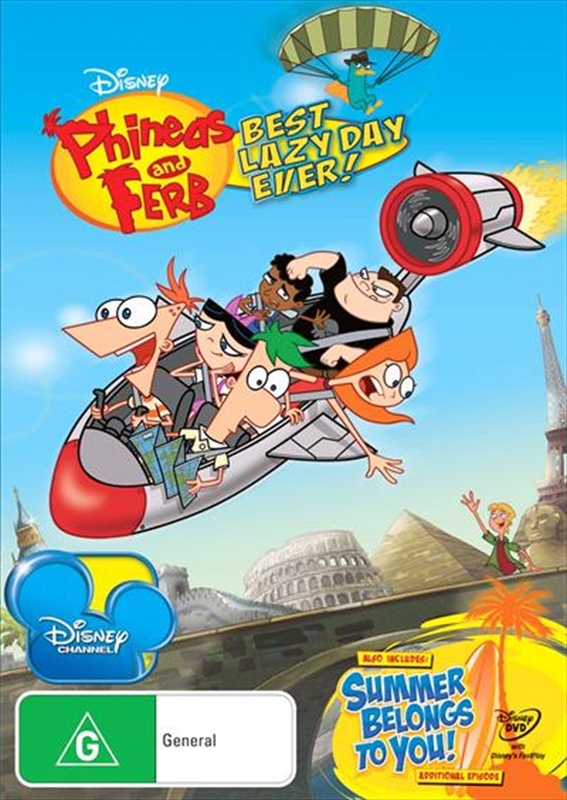 , its the summer solstice - the longest day of the year - and Phineas and Ferb want to make it even longer by following the sun around the Earth and making it home by sunset. Impossible! says Buford, but our intrepid heroes vow to prove him wrong. So begins a thrilling flight around the world, including Tokyo, the Himalayas, and Paris, The City of Love, where Candace hopes to intercept Jeremy on vacation. Meanwhile, Dr. Doofenshmirtz has captured Major Monogram, and only Perry (a.k.a. Agent P.) can save him and thwart Doof's evil plans.